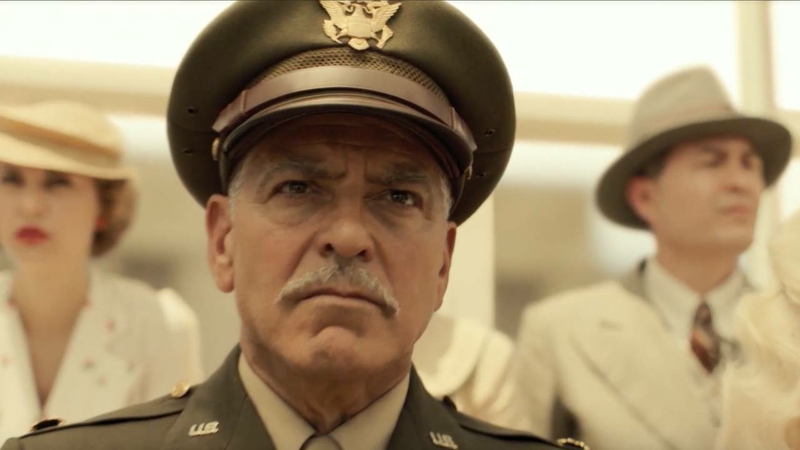 The first trailer for Catch-22is here -- and it looks pretty good. George Clooney, Kyle Chandler, Hugh Laurie and Christopher Abbott star in the upcoming Hulu series, adapted from the 1961 novel by Joseph Heller. Catch-22 is set in Italy during World War II and tells the story of Captain John Yossarian (Abbott), a U.S. Air Force bombardier, and the other airmen in his camp, who attempt to maintain their sanity while fulfilling their service requirements so they can return home. The show's first trailer, which dropped on Monday at Hulu's Television Critics Association winter press tour, shows Abbott in action -- as well as Chandler's Colonel Cathcart and Clooney's Scheisskopf. Watch below. Clooney, who is executive producing the project alongside Grant Heslov on behalf of Smokehouse Pictures, was originally supposed to play Cathcart. Chandler stepped in to play the part in April 2018, so Clooney could take on a less demanding role to focus on his directorial duties. He, Heslov and Ellen Kuras each directed two episodes of the six-part series. Richard Brown and Steve Golin on behalf of Anonymous Content, meanwhile, also executive produce. Catch-22 was also adapted as a film in 1970, directed by Mike Nichols and starring Alan Arkin, Martin Balsam and Bob Balaban. The Hulu series will debut with all six episodes on Friday, May 17.